Given a vector of scores and a vector of actual class labels, how do you calculate a single-number AUC metric for a binary classifier in the R language or in simple English? Because R (not to be confused with the R language) is defined a vector but used as a function? As mentioned by others, you can compute the AUC using the ROCR package. With the ROCR package you can also plot the ROC curve, lift curve and other model selection measures. 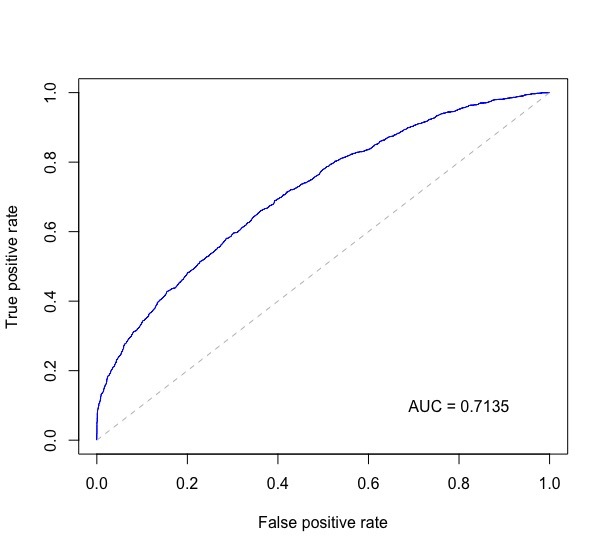 You can compute the AUC directly without using any package by using the fact that the AUC is equal to the probability that a true positive is scored greater than a true negative. 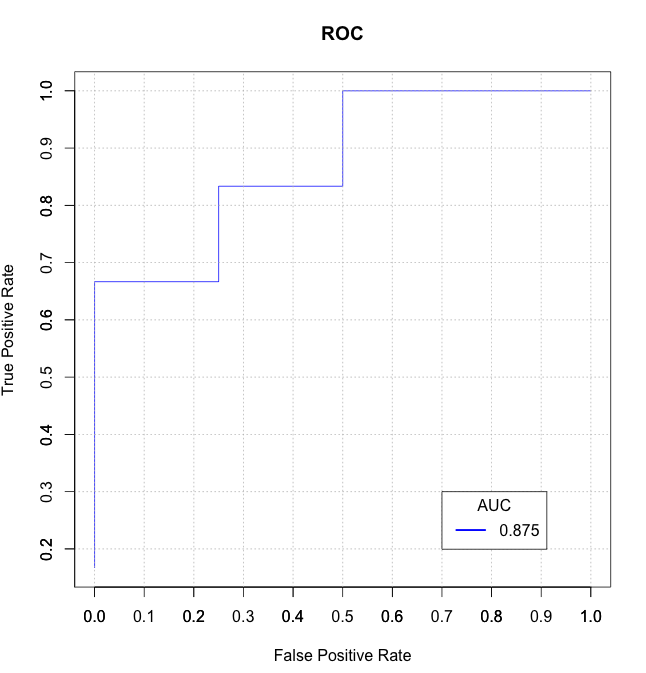 I found some of the solutions here to be slow and/or confusing (and some of them don't handle ties correctly) so I wrote my own data.table based function auc_roc() in my R package mltools. Combining code from ISL 9.6.3 ROC Curves, along with @J. Won. 's answer to this question and a few more places, the following plots the ROC curve and prints the AUC in the bottom right on the plot. Below probs is a numeric vector of predicted probabilities for binary classification and test$label contains the true labels of the test data. Certainly less efficient than the sample approach or the pROC::auc, but more stable than the former and requiring less installation than the latter. Related: when I tried this it gave similar results to pROC's value, but not exactly the same (off by 0.02 or so); the result was closer to the sample approach with very high N. If anyone has ideas why that might be I'd be interested. auroc() is 100 times faster than pROC::auc() and computeAUC(). auroc() is 10 times faster than mltools::auc_roc() and ROCR::performance(). I usually use the function ROC from the DiagnosisMed package. I like the graph it produces. AUC is returned along with it's confidence interval and it is also mentioned on the graph. Currently top voted answer is incorrect, because it disregards ties. When positive and negative scores are equal, then AUC should be 0.5. Below is corrected example. Not the answer you're looking for? Browse other questions tagged r machine-learning data-mining auc or ask your own question. How to calculate AUC(Area Under Curve) for voting ensemble classifiers? Why is F1 measure effective for evaluating multiclass classifiers?